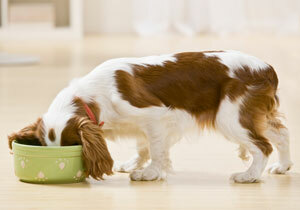 Over the past few years, experts have been telling pet parents to feed their pets healthy pet food. But what does that really mean? A healthy diet for your pet is one that consists of mainly protein. If you look back to when dogs and cats were undomesticated and living in the wild, you will see that these animals were hunters and ate mostly meat. So, having a pet food with tons of non-essential grains and fillers doesn’t really make sense. But how do you know what’s in your pet’s food? Well, unlike human food, where we are accustomed to checking labels and kind of know which ingredients are good for us and which ones are bad, the ingredients in pet foods can be a little tricky. So here’s a little help. A healthy or “recommended” pet food contains a “real meat” source like chicken, beef, lamb or turkey. It is not recommended to give your pet foods with meat by-products (chicken by-product or meat meal). It’s also important to make sure the grains in your pet’s food are whole grains and not just fillers, like hulls, pulps or brans, which can lead to digestive issues and do not supply your pet with essential vitamins and minerals. Many pet parents these days are putting their pets on major meat based foods like Taste of the Wild, which contain lean cuts of meat and zero grains. Another popular diet is pet food with human-grade ingredients, like Halo. Halo has real USA-raised meat sources and USA-grown vegetables. Plus, it’s100% nutritionally complete by AAFCO (Association of American Feed Control Officials) standards. Feeding the right food to your pet means giving your pet the nutrition he or she needs to be healthy and happy. Think of it this way, do you feel better when you eat a cheeseburger and fries, or when you eat a chicken breast with vegetables? Most of us will choose the chicken and veggies. So, whether you are feeding a new four-legged family member, or you’re trying to find the best diet for your adult pet, reading the ingredient list and choosing high-quality proteins, minus the grains and fillers, is important for the growth, development and performance of your pet.